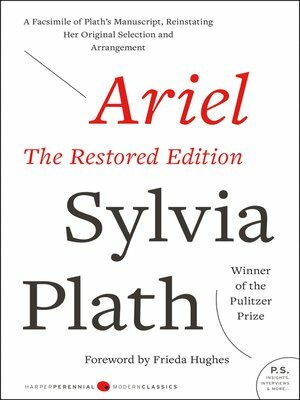 When Sylvia Plath died, she not only left behind a prolific life but also her unpublished literary masterpiece, Ariel. When her husband, Ted Hughes, first brought this collection to life, it garnered worldwide acclaim, though it wasn't the draft Sylvia had wanted her readers to see. This facsimile edition restores, for the first time, Plath's original manuscript — including handwritten notes — and her own selection and arrangement of poems. This edition also includes in facsimile the complete working drafts of her poem "Ariel," which provide a rare glimpse into the creative process of a beloved writer. This publication introduces a truer version of Plath's works, and will no doubt alter her legacy forever.